Now you can buy KRUM Edge Of Darkness cd key for Steam at best price via Gocdkeys. KRUM Edge Of Darkness cd key is a digital code that will activate the download of this title from the Steam platform. you only need to add the cd key that you´ll receive by email into your Steam Games Library to download it. 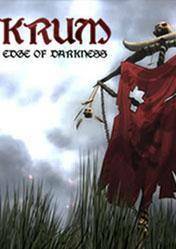 KRUM Edge Of Darkness is an action RPG set in a fantasy world. Our main objective is to survive and reach the end of history as we make our way through an open epic world filled with enemies and scary monsters. KRUM has a unique combat system, easy to handle, but difficult to master, so you get to control the style of combat require many hours of play. A lot of weapons, skills and devastating combos, typical of most current RPG. Get ready for an unparalleled adventure through a devastated land, where we´ll find fearsome monsters and grotesque beasts, hidden death traps, powerful demons knights, dragons and all kinds of enemies that will try to destroy us. Remember that there are several versions of this title available, we recommend carefully reading each of the stores specifications for download, as well as shipping times of the keys and payment systems. There are no comments yet about KRUM Edge Of Darkness . You can be the first one!